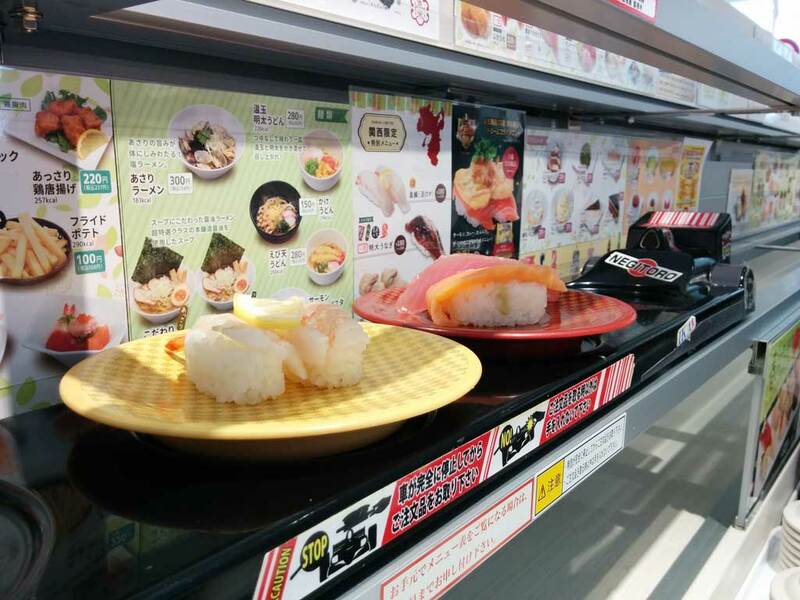 Uobei is a popular sushi chain that has sushi trains. 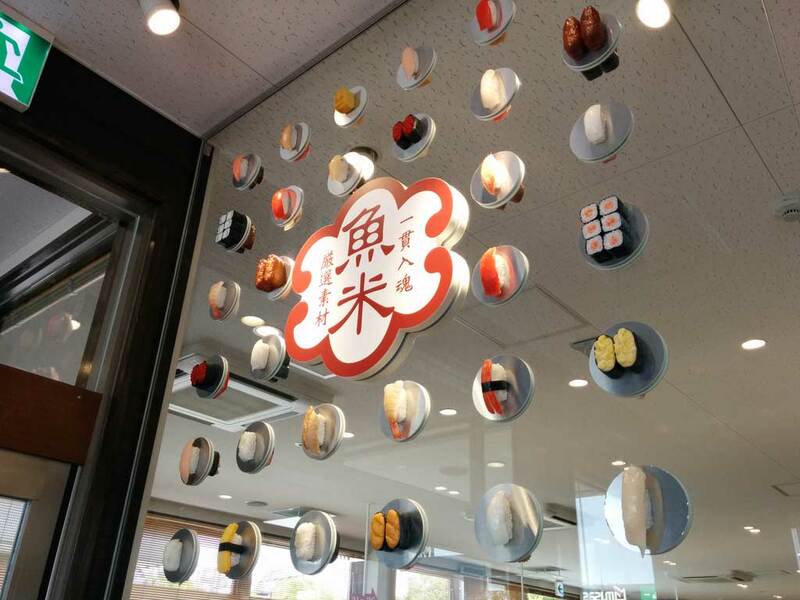 The sushi do not revolve, but just zip along. Most dishes are only 100 yen plus the tax here. I love the salmon.